1. 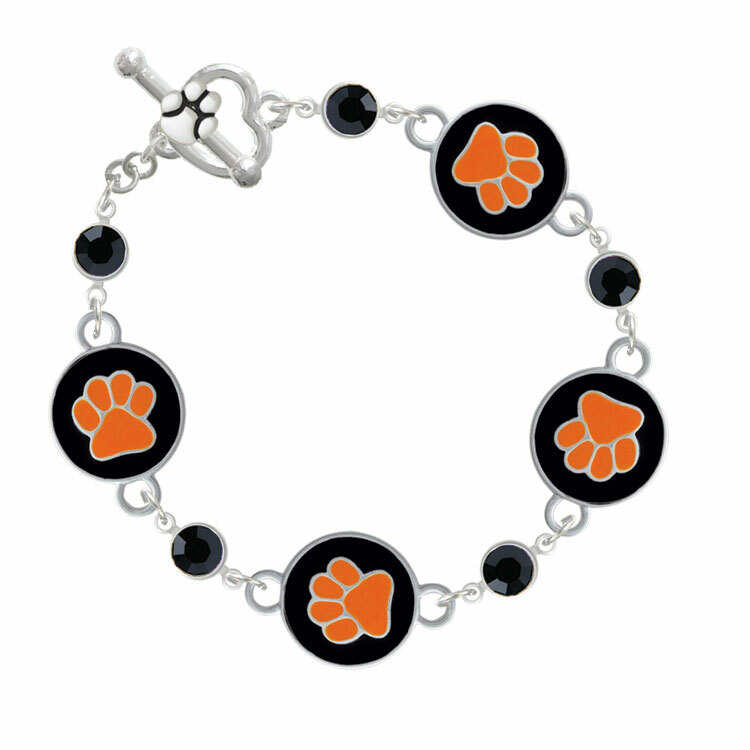 ​Use 7mm jump rings to connect black crystal links and orange paw links. 2. 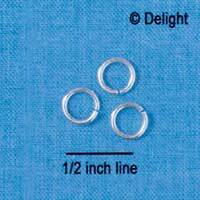 Attach the heart toggle to one end using a 7mm jump ring. 3. 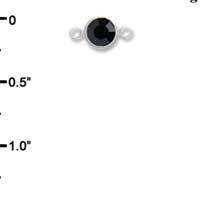 Use the 4mm jump rings one the other end to attach the bar. 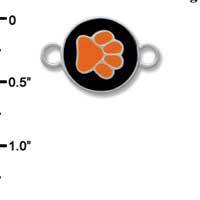 These extra jump rings will give more leeway when wearing the bracelet and make it easier to put on.